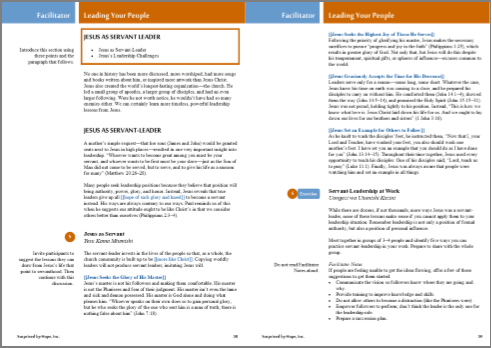 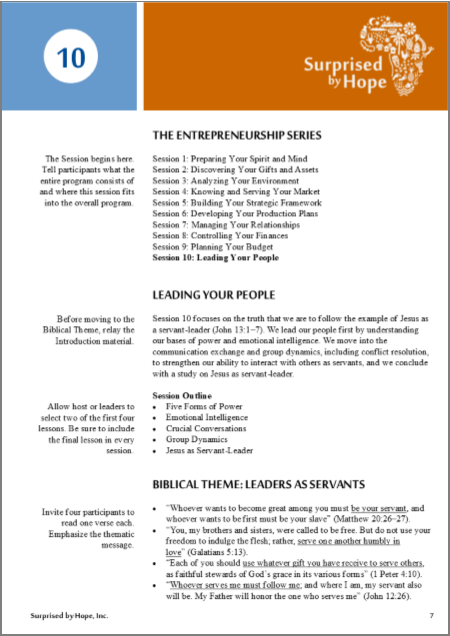 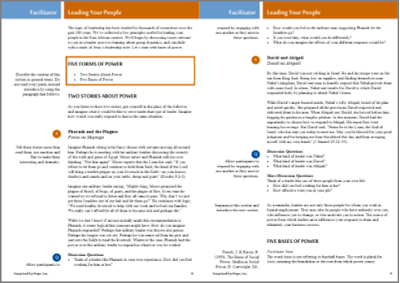 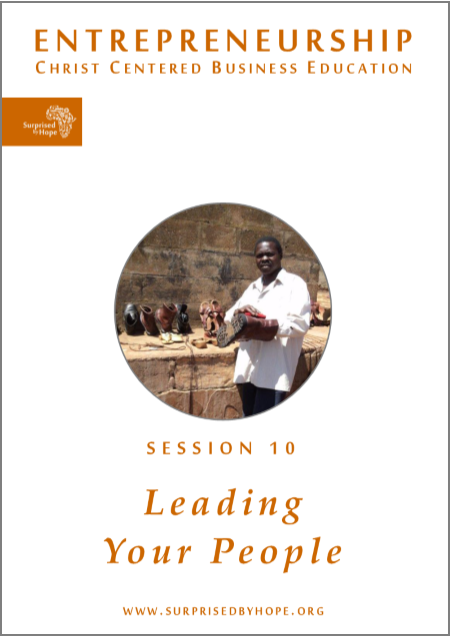 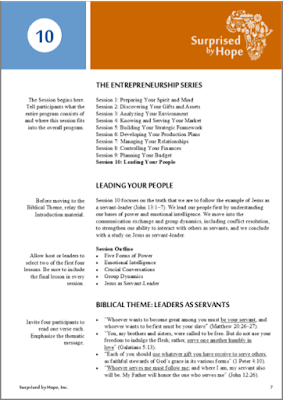 Session 10 focuses on the truth that we are to follow the example of Jesus as a servant-leader (John 13:1–7). 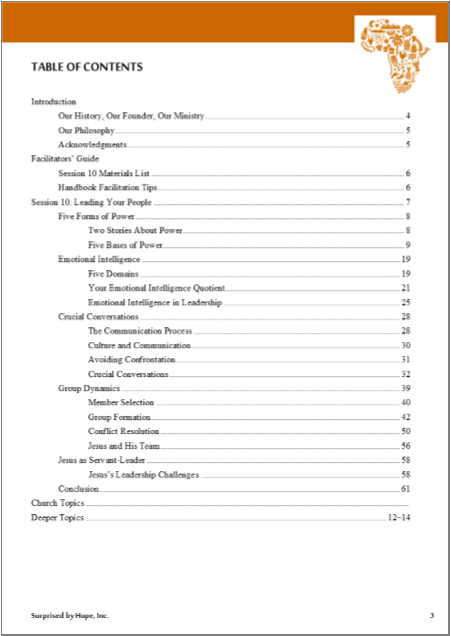 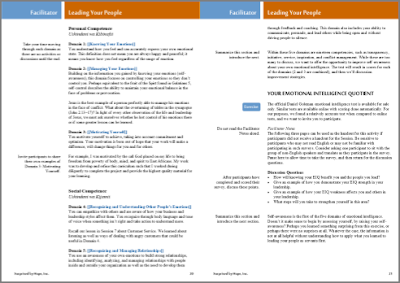 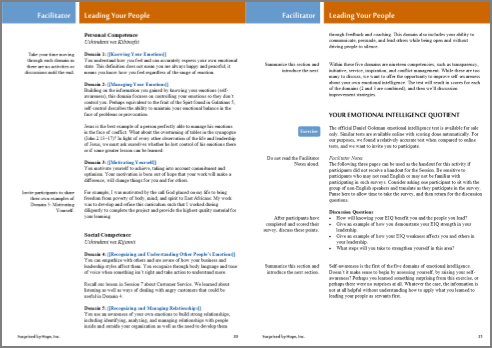 We lead our people first by understanding our bases of power and emotional intelligence. 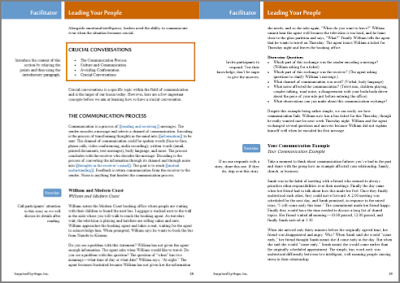 We move into the communication exchange and group dynamics, including conflict resolution, to strengthen our ability to interact with others as servants, and we conclude with a study on Jesus as servant-leader.